I love great coffee. If you’ve been following my site for any length of time, you know I go to great lengths to have a great cup of coffee no matter where I am. Our guide, Gustavo, met us at Los Girasoles Hostel where we were staying in Salento, and we hopped in the back of an old school Jeep straight out of the 1950s, but still running strong. 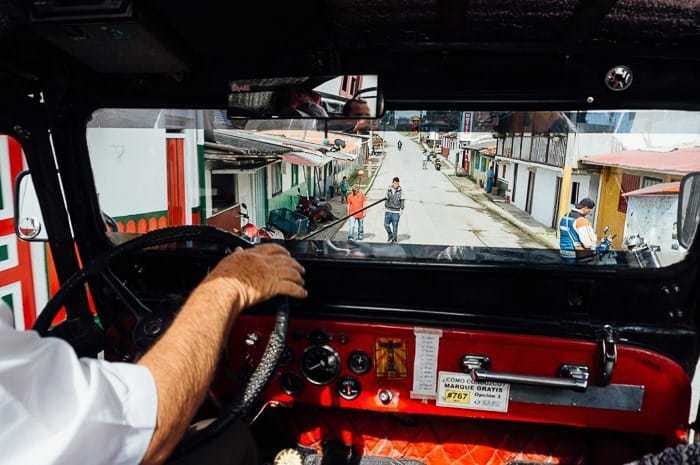 These Jeeps are the primary means of public transport around the town of Salento, including down to the famous Cocora Valley. 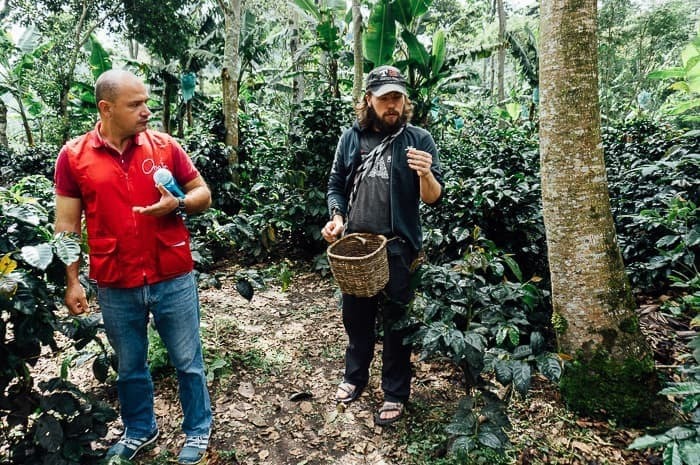 As we made our way to the coffee farm, Gustavo loaded us up with information about what goes into a really good cup of coffee, we discussed the prevalence of instant coffee among Colombians and the growing trend toward real coffee. 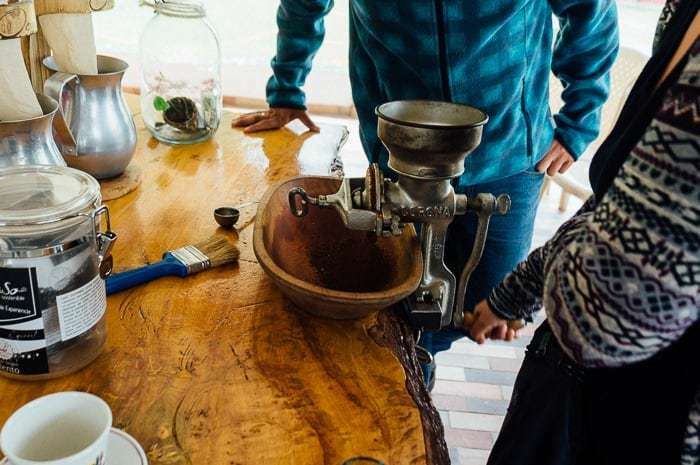 Gustavo, a barista as well as a tour guide, also tested our appreciation of real coffee by asking how we prepare coffee at home — Aeropress and a hand-held burr grinder, all the way, even while traveling. 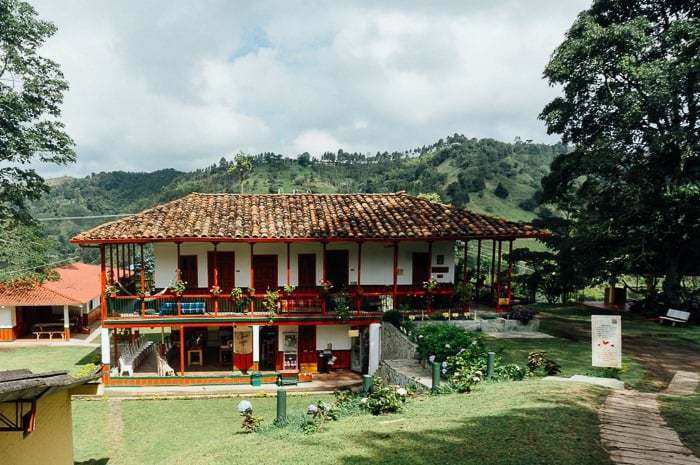 After a short ride along some bumpy roads we pulled up to an idyllic finca featuring a beautiful traditional house at its center with a wrap around patio, and red railings. 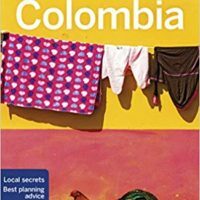 I really do love the countryside homes in Colombia. 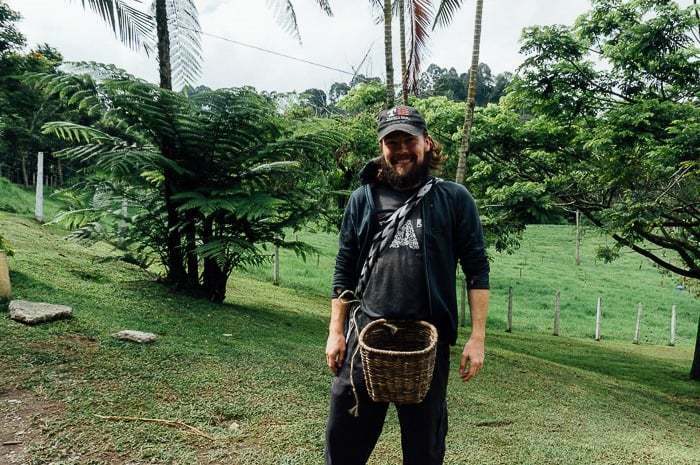 We were joined by Jose who works as the coffee farm guide who promptly tied baskets around our waist and lead us up the hill to a small covered area. 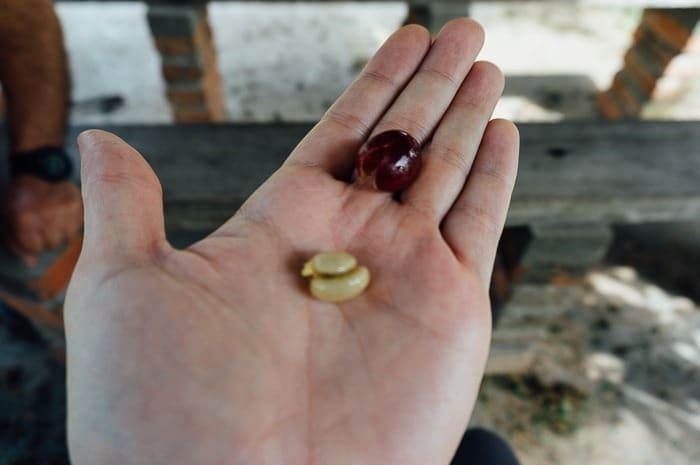 Jose told us about the history of El Ocaso, how we will experience the full cycle of coffee from seed to plant, to harvest, to drying, and finally tasting — missing only the roasting process here on the farm, which is completed in a nearby town. 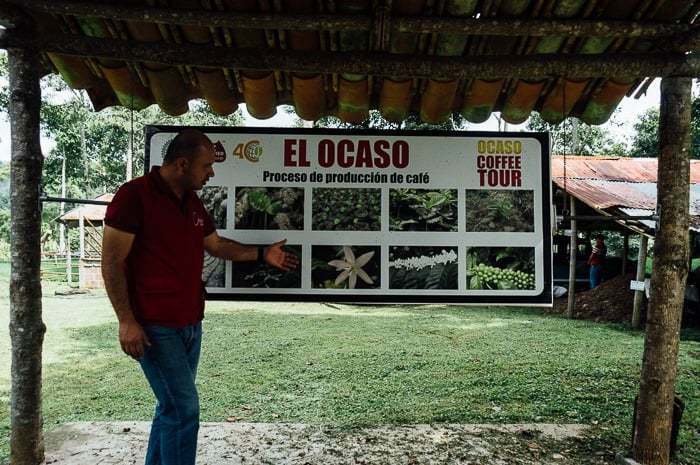 El Ocaso has nearly 45 acres dedicated exclusively to coffee plants, with approximately 2,000 plants per acre. 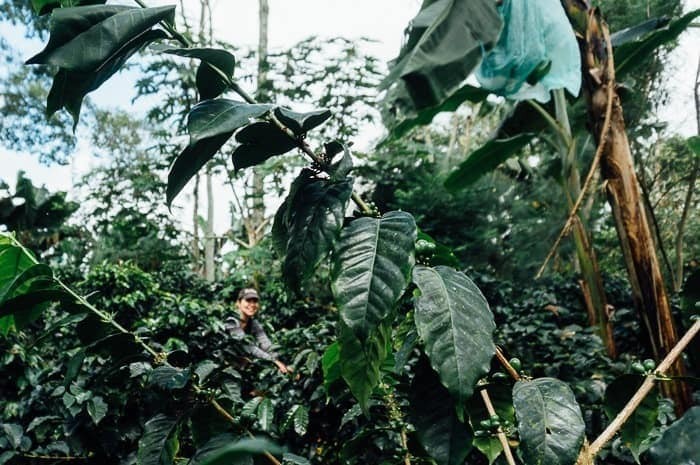 All of their coffee is Rainforest Alliance certified and is free of pesticides and herbicides. It was fascinating learning more about the actual plant, how they take about 2 years to grow from seed before the produce, how they produce for 5 years after, then they chop the plants down and let then grow again for another two years for another cycle of production. 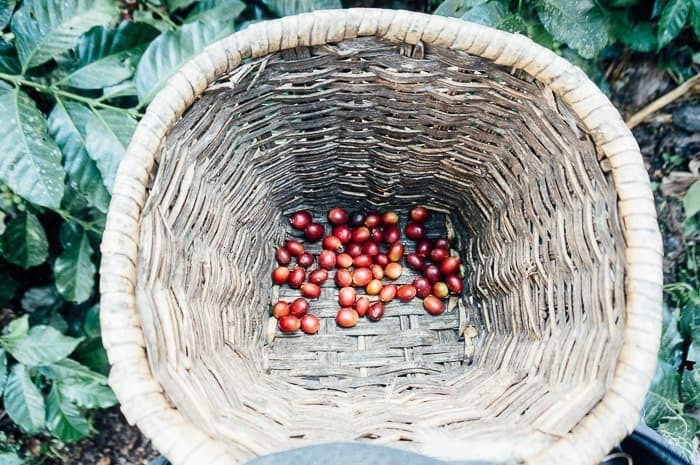 It’s a process that can be repeated, allowing a single coffee plant to be productive for approximately 20 years. 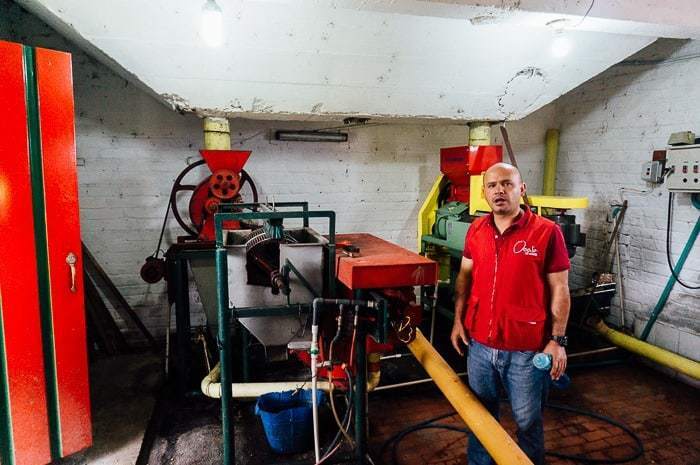 He also explained that there were a number of threats that impact the production of coffee in Colombia, namely a fungus that causes the leaves to fall off and a larvae that infests the coffee bean and burrows inside, causing some farms to lose up to 50%. 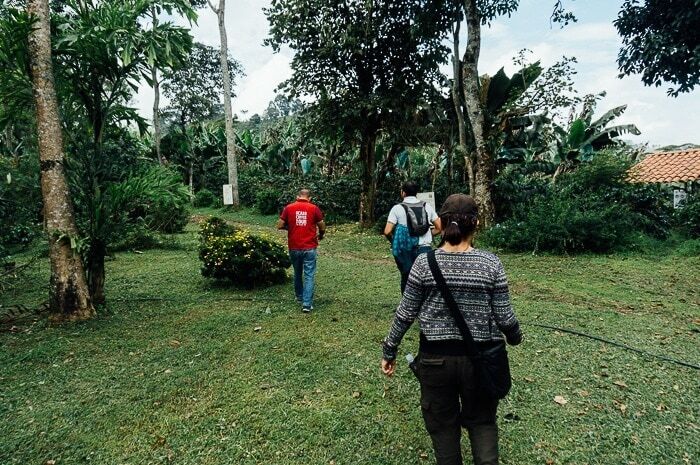 We walked into the thick of the coffee plants, beneath banana trees, and other tropical plants. We searched for the ripe red beans, that looked like cherries. I plucked a bean off the bush and then squished the seeds out, and then sucked on the coffee bean fresh, it was slightly sweet. Most surprising for me was how it was really like a little fruit, albeit without much flesh. 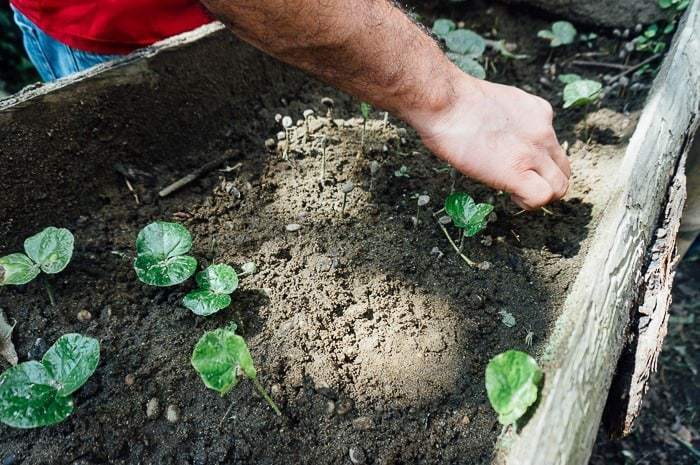 Jose set us loose for five minutes and had us pick as many ripe beans as we could. 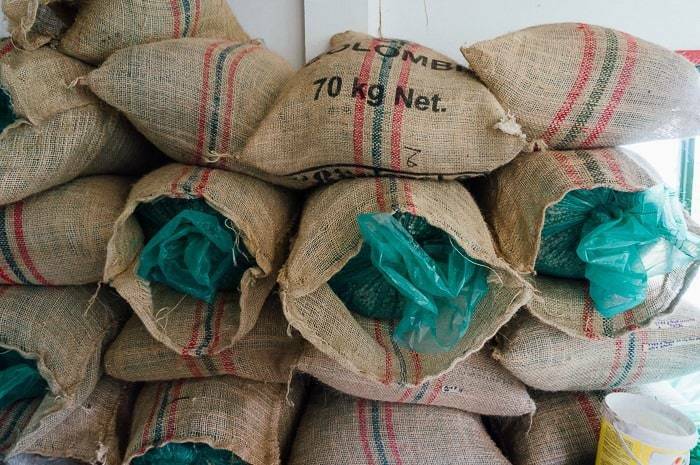 They pay per kilo to the workers, who spend 10 hours per day picking coffee beans during the peak harvest twice per year. 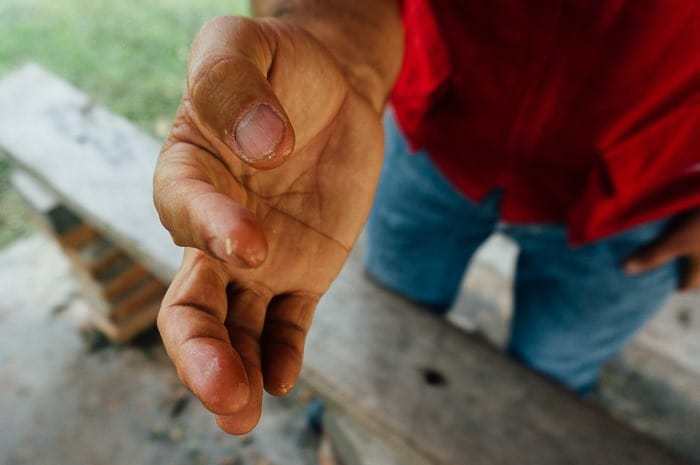 Jose lead us through the complete process with our batch of recently harvested beans, taking us through the traditional hand crank which separates the skin from the beans inside. Then he showed us the more modern mechanized approach that workers use today. 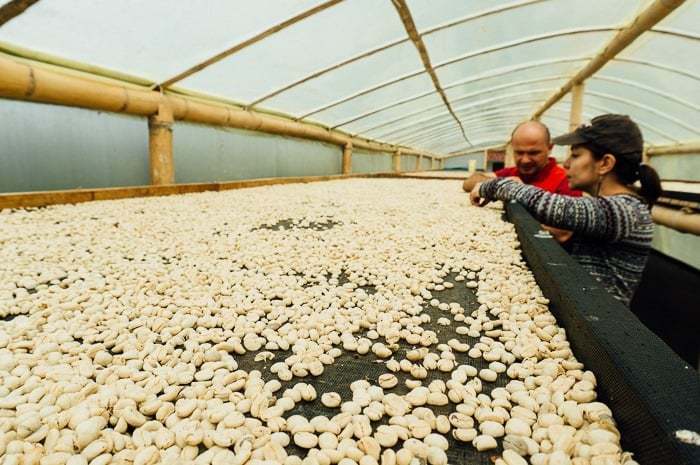 From there, the beans are either air dried in a special greenhouse like room, or dried in a special chamber that blows hot air. 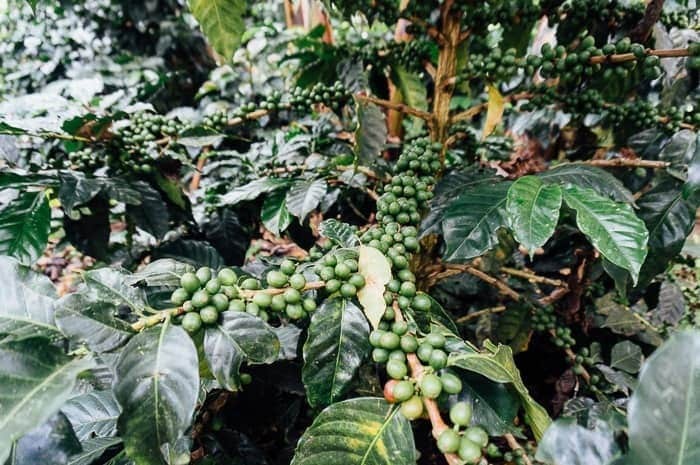 Everything on the farm is utilized, the skins are saved and turned into compost for the soil, the branches cut so the coffee plant will produce again are saved for firewood, and the fruit trees that shade the coffee plants are used to feed the workers. 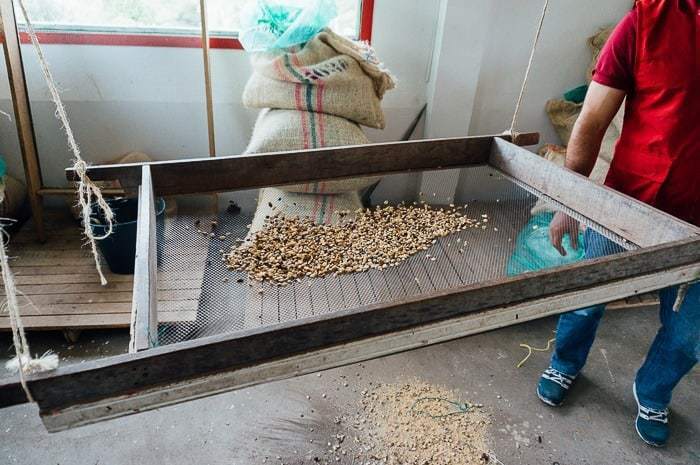 We were then shown how they separate the beans for quality, designated as either first or second class beans based on physical defects. 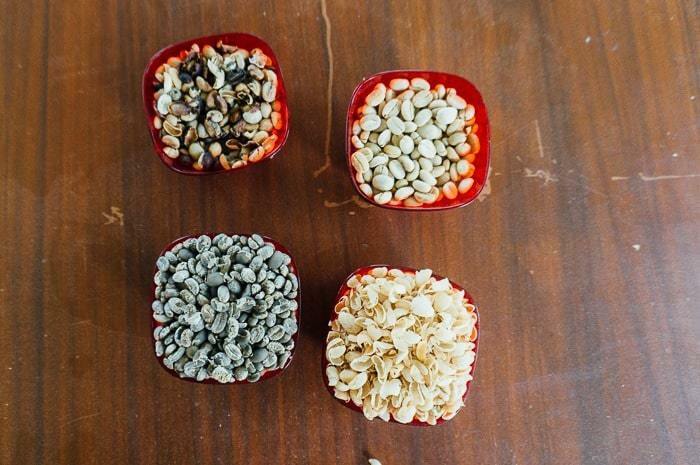 The top quality beans are mostly sold for export to foreign markets, those that you buy back home. 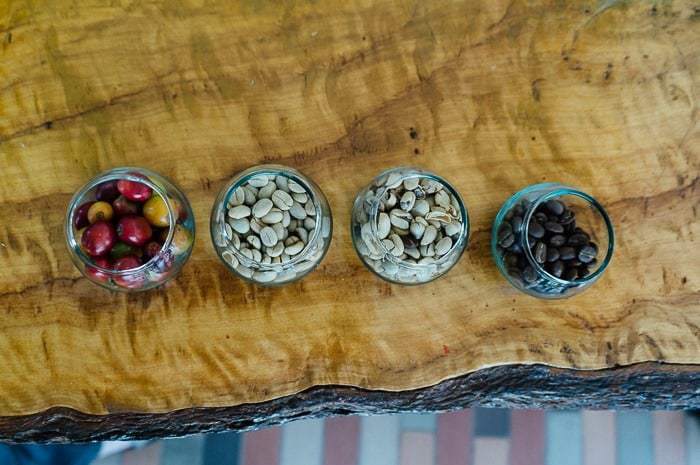 The second class beans are sold to wholesalers who mix and match and create lower quality coffee like that are often consumed domestically here in Colombia, unfortunately. 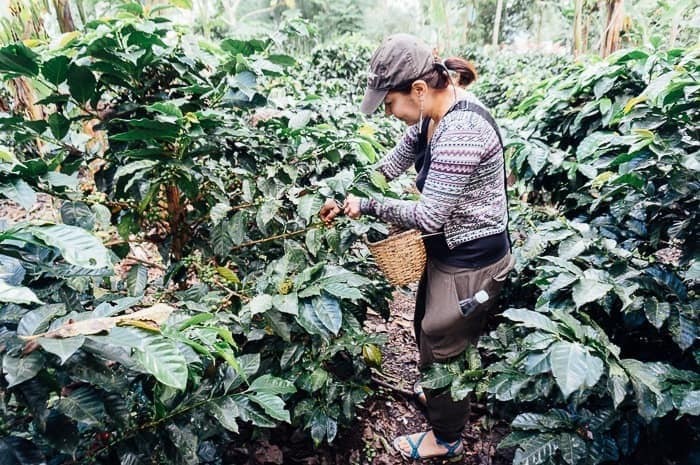 It’s a sad reality that one of the world’s greatest coffee producers often serves the lower quality coffee to its citizens. 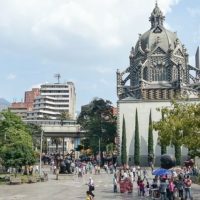 That is beginning to change though, even I’ve noticed the rapid growth of cafes in Medellin in just a few years. 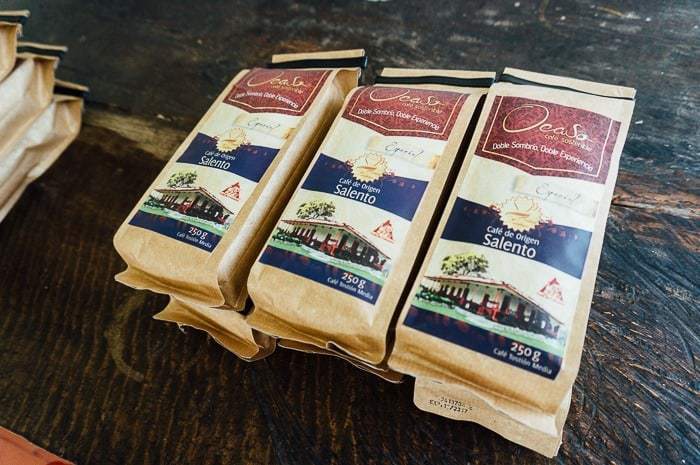 El Ocaso sells a portion of its beans to the National Coffee Federation which sells around the world, but El Ocaso also sells a portion of its beans under its own mark, available at a few specialty coffee shops. 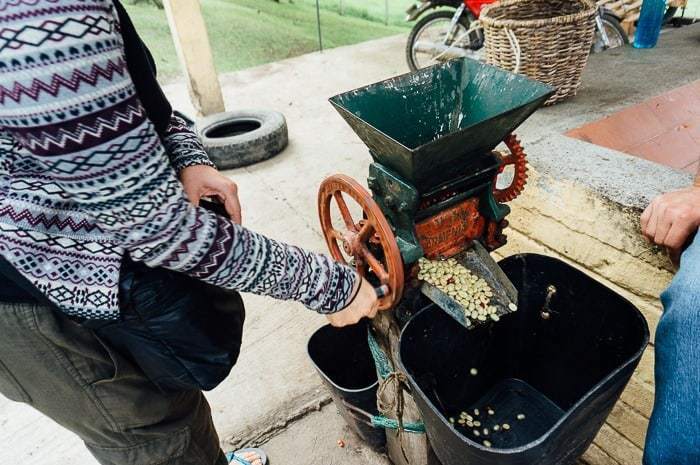 Hand grinding the beans just before brewing to ensure the freshest cup. Heating the water just below boiling to ensure that you don’t burn the coffee. Then delicately pouring the hot water of the coffee in a traditional fabric filter. 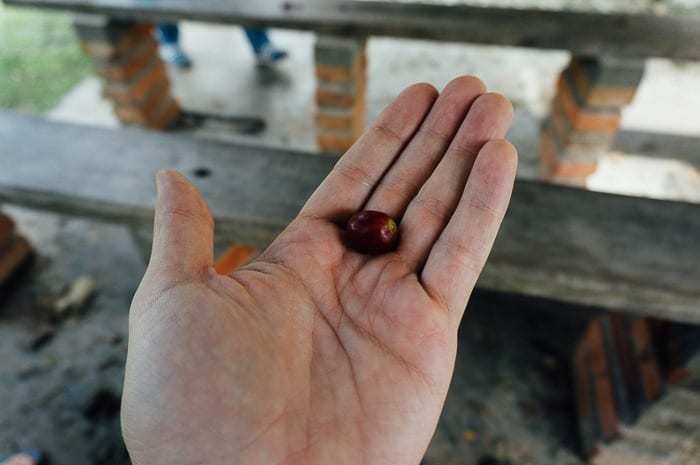 The cup of coffee was sweet and delicious, absolutely fresh, and I felt so great to drink a cup of coffee from the very lands I was walking on, to really know where my cup of coffee came from. 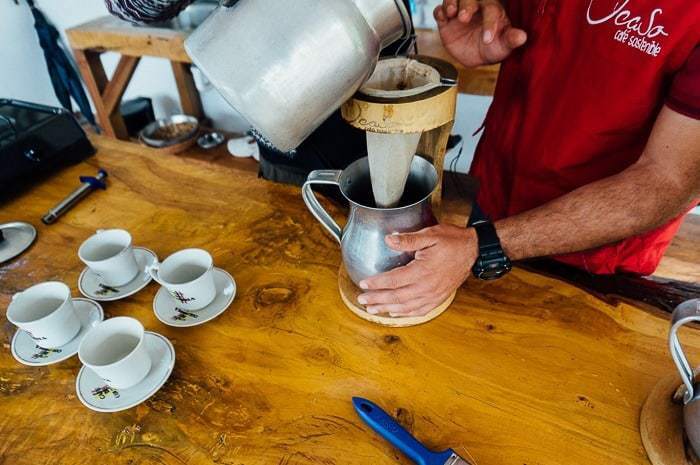 Colombia is many things, but one of those is most definitely coffee. 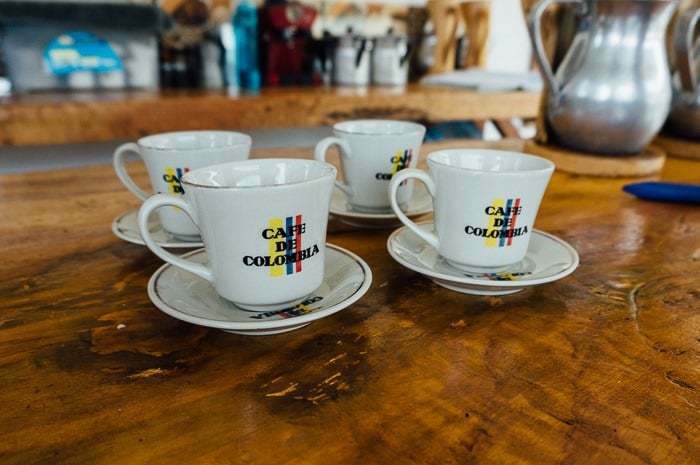 No trip to Colombia would really be complete without a visit to the Coffee Triangle (Eje Cafetero), and no trip would be complete without a visit to a coffee farm. 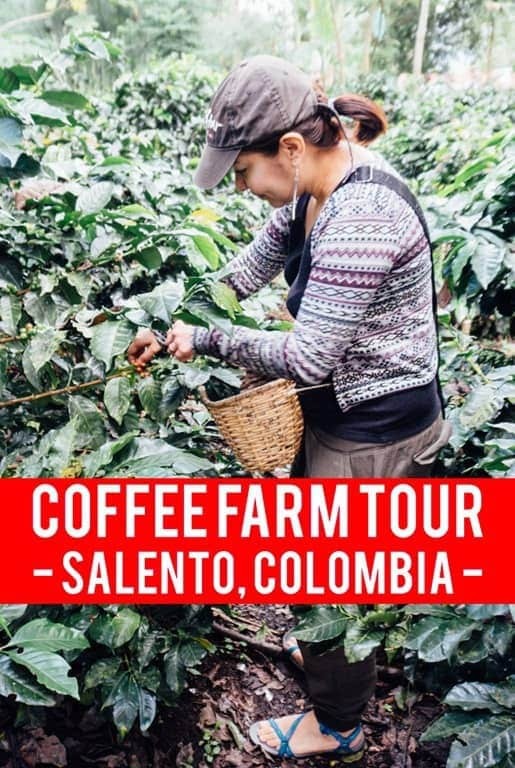 I’ve done coffee cuppings in Costa Rica, I’ve done tastings in Medellin, but there was something extra special about doing the full tour in Salento, the heart of coffee country and one of my favorite little towns in Colombia. 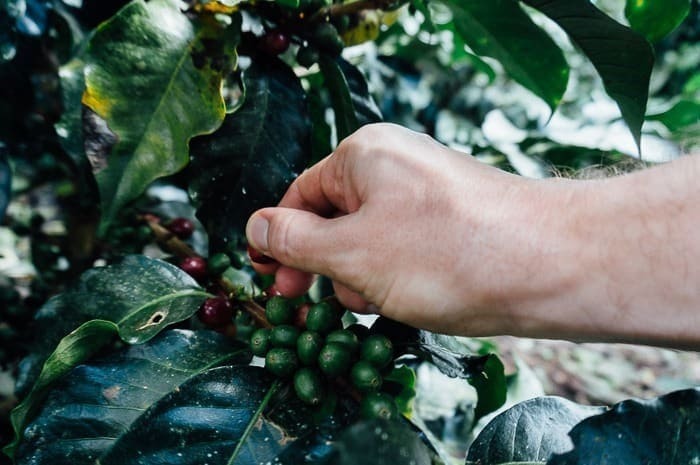 Before the tour, I felt like a knew quite a bit about a good cup of coffee, but I learned so much during the brief two-hour tour about where the coffee I love actually comes from and what it goes into producing it. 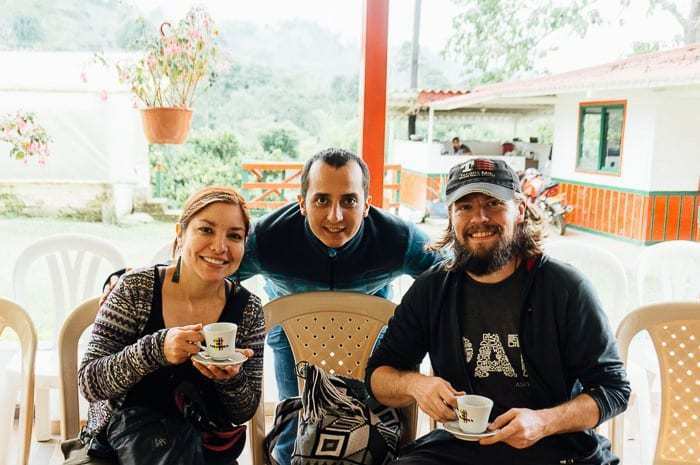 Be sure to check out the El Ocaso Coffee Tour if you’re ever in Salento, and be sure to reach out to Uncover Colombia if you’re looking for incredible experiences around the country that will make sure you have an unforgettable trip. 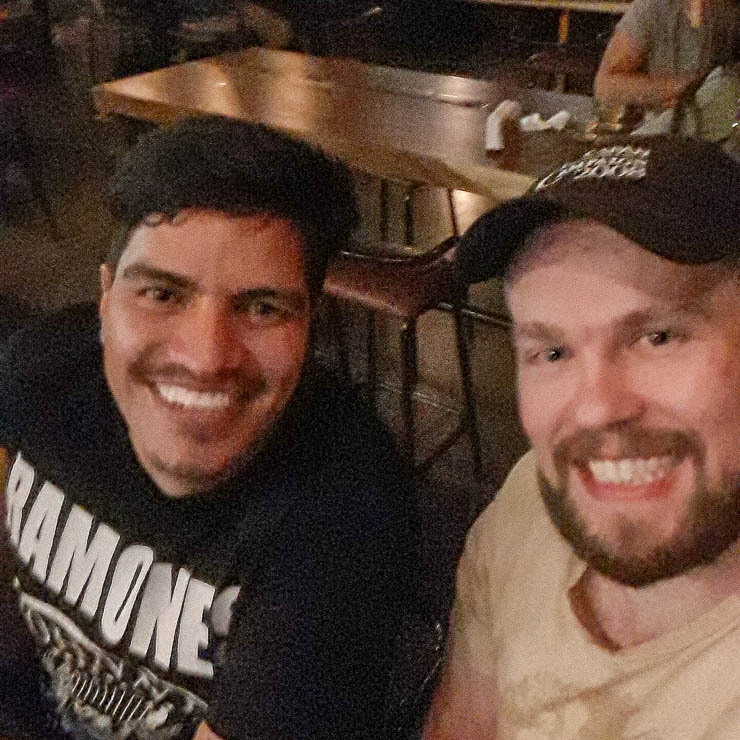 It only took me two years of living in Colombia to go on a coffee tour. Don’t wait as long as I did. 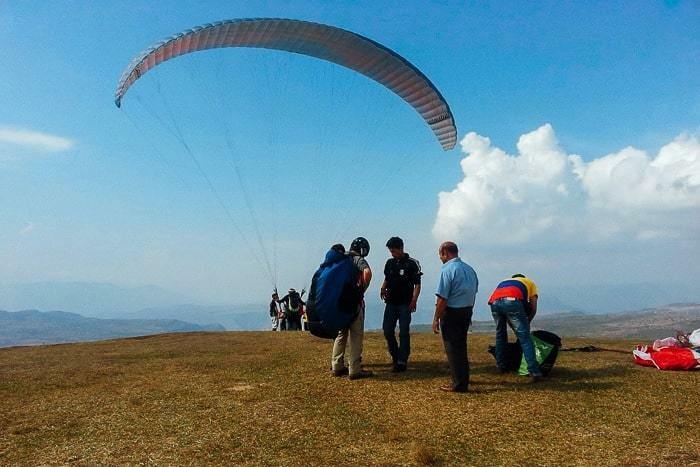 Traveling to Salento on your next trip? Book the perfect room on Booking.com today! 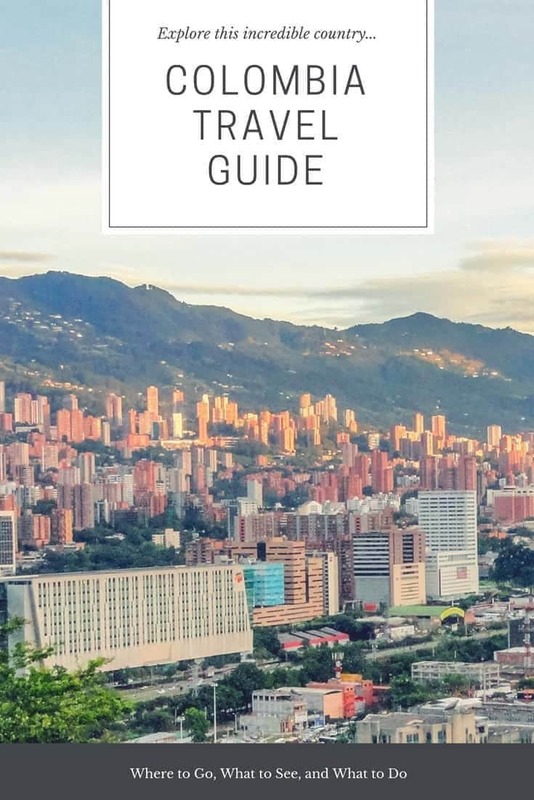 I’ve been sharing travel moments through Instagram stories, be sure to follow me there for behind the scenes stuff.